You will love each and every one of these easy and fresh fruit salsa recipes! Summer is coming, folks. And I could NOT be more excited! I love the comfort food of winter, but get me in a farmer’s market with fresh peaches, blackberries and tomatoes and I am in HEAVEN! 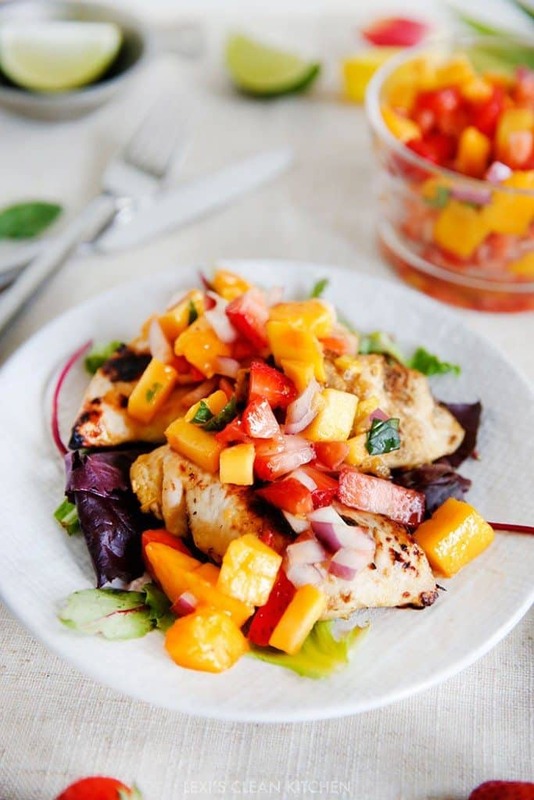 I’ve always used fruit salsas as toppers for my protein, like in this super easy Sriracha Chicken with Mango Salsa recipe. The fruit salsa recipes you’ll see below have a way to add almost ANY produce, from pineapple, to jicama, to watermelon! There’s even a grape salsa recipe included! My personal favorite is ANYTHING that includes blueberries and/or corn. YUM! That just tastes like summer to me. 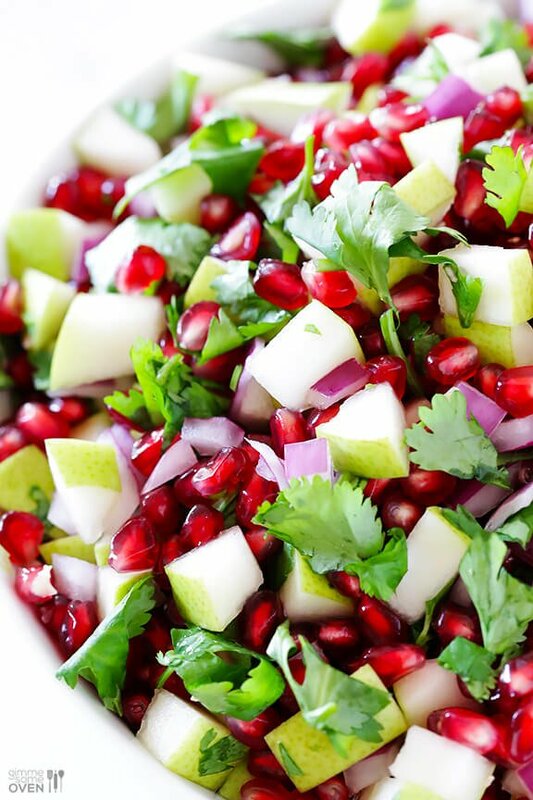 I hope that you enjoy my list of favorite fruit salsa recipes from my fellow foodie friends! Let’s start counting down to summer, together! That’s it, folks! All of my favorite fruit salsa recipes in one place! Let me know if you try any of them out, and I’ll see you next week! This is perfect! I can’t wait till my grocer fills with fresh fruits for spring! Brilliant list, lady! I’d love to try one of each because fruit salsa is totally my jam! Now I’m seriously craving summer! These all look delicious…can’t wait to try them. Haha. Summer is coming? We just started spring here. 😀 Love all these salsa ideas! We’re confused here in Missouri. Bouncing back from 40 to 80 degrees with tons of rain in between! The weather doesn’t know what it wants! ahhhh YUM! I’ve been so into fruit salsa lately!